Debut III S Audiophile takes the iconic, multi-award winning Debut design and adds advanced features taking the looks and performance to the next level. Pro-Ject Debut III S is an audiophile grade turntable with a distinctive S-shape tonearm that sets it apart from the other widely available models in the iconic Debut series which utilise straight tonearms. Debut III S Audiophile has been created by using the very best R&D, from an already established design, and has added new features, technology and styling to give a new spin on an iconic range. The S-shape tonearm conveys a classic aesthetic with retro styling, and it is very sturdy whilst being lightweight. The tonearm is constructed from one piece aluminium, so it can navigate your records with ease. Supplied with a brand new Ortofon cartridge pre-installed on the tonearm. Designed exclusively for Pro-Ject, the Pick-IT 25 A is a moving-magnet cartridge based on the popular Ortofon OM series. The cartridge employs highly conductive silver spools in the generator system for a superior sound performance. The result of using the Pick-IT 25 MM cartridge, is a warm and harmonic, audiophile quality sound. 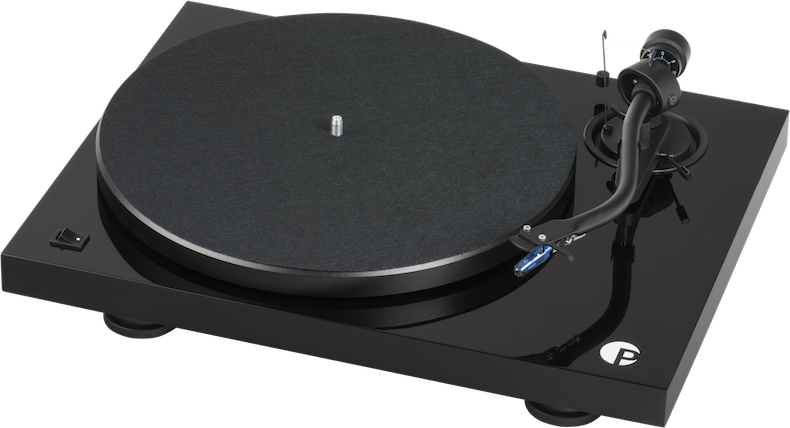 To ensure that your records spin stability and silently, the Debut III S Audiophile uses the recognised Debut design with the same belt-drive motor, AC generator and 12” platter assembly as on the award-winning Debut Carbon models. Performance has been improved due to the new specially designed aluminium/TPE isolation feet. 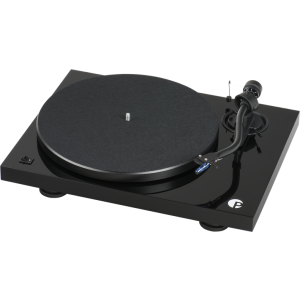 These isolation feet have been developed initially for the more expensive models in the Pro-Ject range, effectively decoupling the playback platform from all unwanted vibrations. 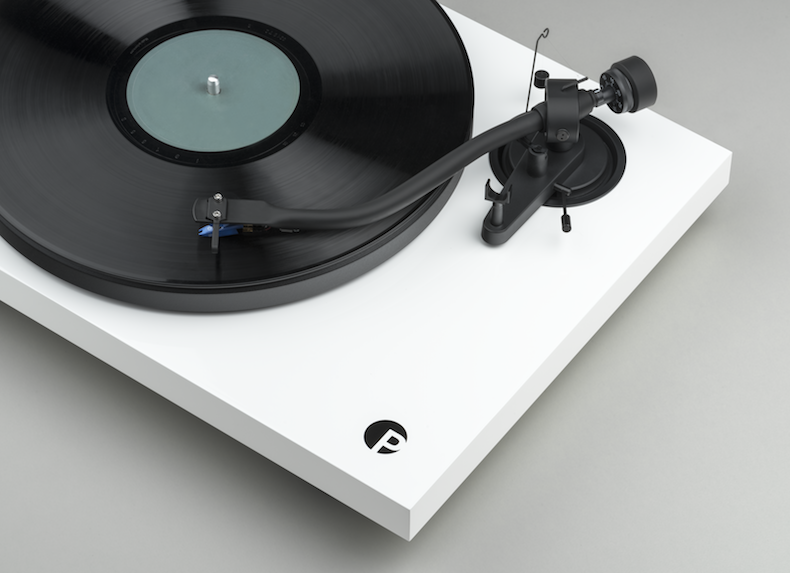 This is the first model to feature Pro-Ject's new ‘P’ logo on the top of the high-gloss MDF plinth and on the dust cover. 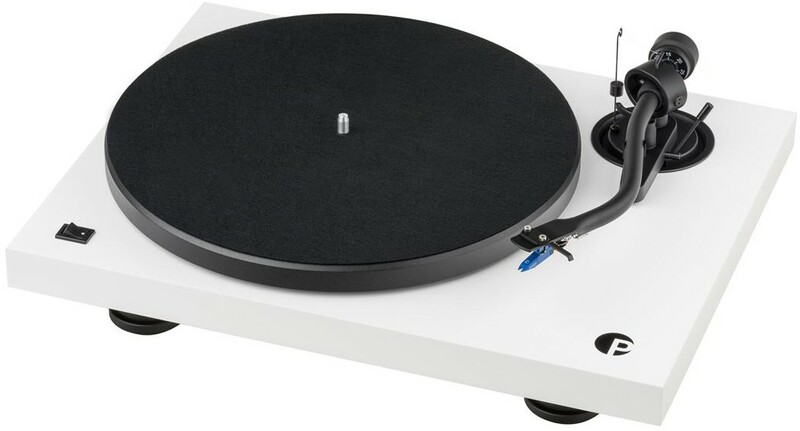 Pro-Ject have also included various convenient accessories, such as the Connect-IT E turntable-ready RCA cables and a 12" felt mat. This turntable is available in either high-gloss black or white finish, giving you a choice to match your listening room.